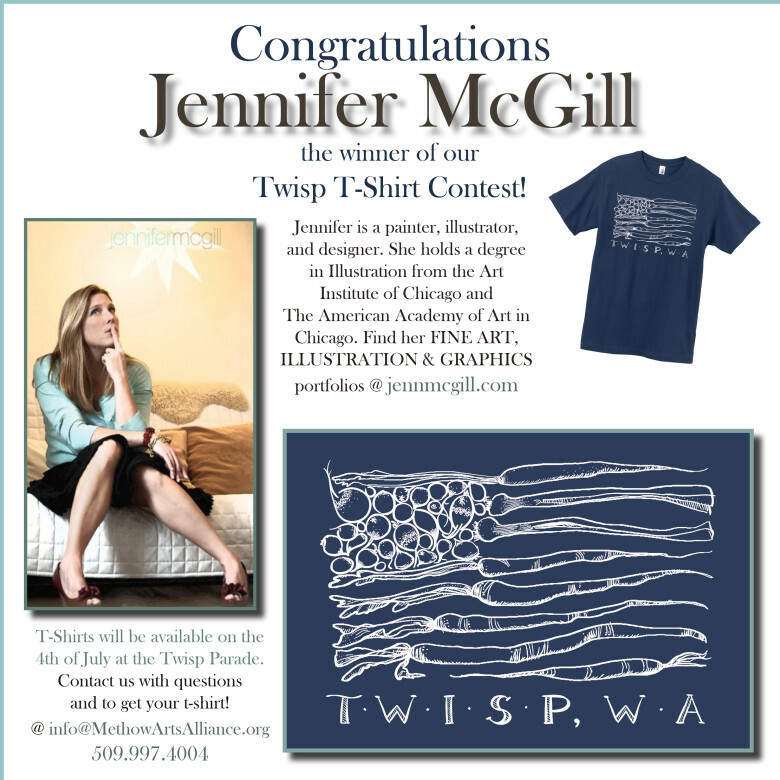 Congratulations goes to Jennifer McGill –the WINNER of our Twisp T-shirt Contest! T-shirts available soon. Contact us at info@methowartsalliance.org for information and to place your order. Twisp Mayor Soo Ing-Moody emphasized how many innovative designs were submitted and her appreciation for all of the applicants’ hard work. “We appreciate the great thought that went into their submissions….making our panel’s choice a difficult one,” says Ing-Moody. 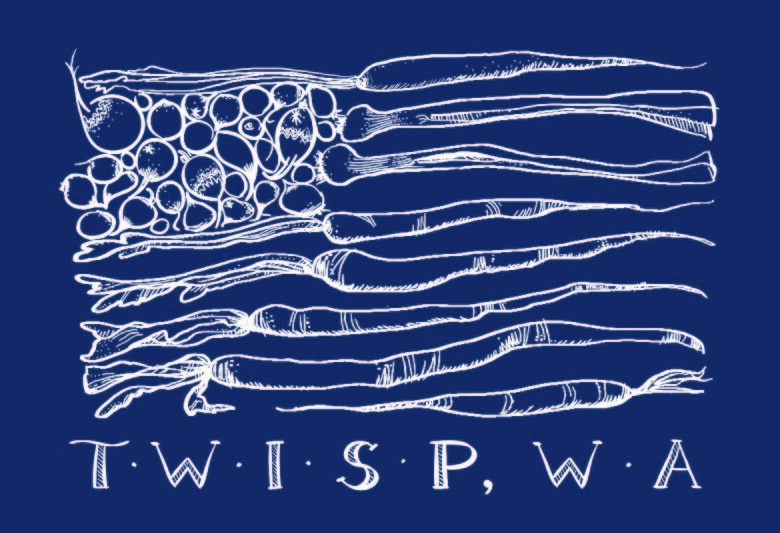 “This design conveys Twisp as a strong and proud small American town – comprised of a vital and growing community (reflected in the vegetables and our iconic farmer’s market),” says Twisp Mayor Soo Ing-Moody. Jennifer is a painter, illustrator, designer and mother. Although she does not live in the Methow Valley, her connection to the valley prompted her to enter the competition. These T-shirts will be available on the 4th of July by donation at the Twisp Parade and at the Methow Arts office after that day. Several colors, sizes and styles will be available. Contact Methow Arts with inquiries and orders @ info@methowartsalliance.org. Jennifer is a painter, illustrator, designer and mother. Although she does not live in the Methow Valley, her connection to Twisp, its agriculture and genuine personality prompted her to enter the competition.